Air Charter Advisors arranges private, corporate, and executive jet charter services to/from Farmingdale, a village located along the Nassau/Suffolk county line in Long Island, New York. Clients can rent a private jet to Republic Airport (FRG), commonly referred to as “Long Island’s Executive Airport”, located just minutes from the village of Farmingdale. Situated along the Southern State Parkway and offering three private FBO terminals with exceptional customer service, Republic Airport is the premier arrival airport for several destinations across Long Island, with quick access to the nearby villages of Bethpage, Brentwood, Amityville, Melville, Babylon, Hicksville, and more. Wyvern-certified, our company applies the highest safety standards in aviation, performing due diligence processes before every flight by reviewing third-party safety audits. We eliminate any operators, planes and/or pilots that don’t fit within our standards, matching you to the best possible aircraft and crew for every flight. We’re also available 24/7 with services extending around the globe, including medical flights, VIP service, private jet management, aircraft acquisitions, air cargo, jet card memberships, and group charter flight for executive offices, sports teams, special events and more. Farmingdale private jet charters can be arranged to/from any destination in the world, and we offer access to thousands of private jets, turboprops and airliners based at airports around the world. Enjoy quotes without any hidden fees, memberships or other charges, fly in as little as 4 hours, and enjoy competitive rates on all domestic & international routes. 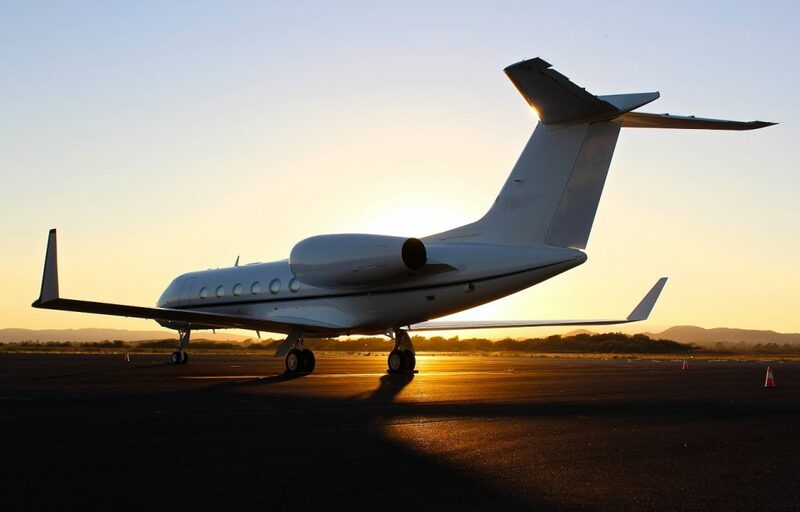 Popular choices for Farmingdale jet charter flights include light jets (Eclipse 500, Phenom 100 and Citation CJ2); mid and super-mid size jets (Citation X, Hawker 800XP); and heavy/long range jets (Challenger 604, Gulfstream G650, Global Express). Whether you’re looking for an on demand jet charter, cost effective one-way empty leg flight, or to hire a luxury VIP airliner, Air Charter Advisors offers unlimited free quotes, the most competitive rates for all of your upcoming jet charter flights through, and a transparent, hassle-free booking process. For more information, please contact us via e-mail or give us a call 1-888-987-5387 to arrange your private jet charter flight to Farmingdale, NY. Located just 1 mile east of Farmingdale, Republic Airport (FRG) is the main airport serving Farmingdale and the surrounding hamlets & villages in the Town of Oyster Bay. Republic features three FBOs and two runways, and focuses mainly on private/general aviation. Long Island MacArthur Airport (ISP) is also available, located 16 nautical miles away in the town of Ronkonkoma. Formerly known as Islip Airport, Long Island MacArthur features four asphalt runways, two helipads, and three private FBO terminals. 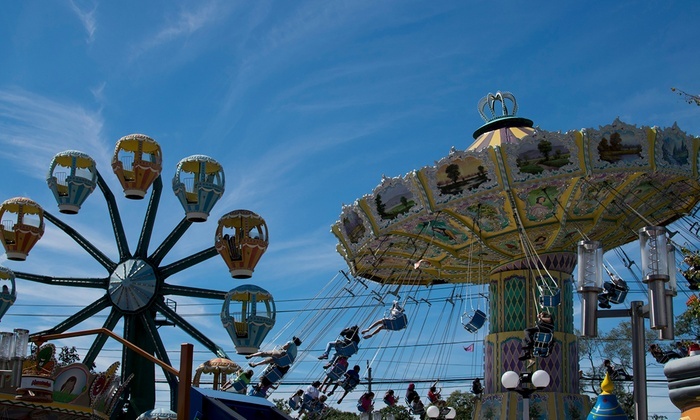 Farmingdale is a village rich in ethnic culture and entertainment, offering an assortment of fine dining and entertainment opportunities that will satisfy any world traveler. Located 40 east of New York City and 68 miles northeast of Philadelphia, the village is home to just over 8,000 residents, and it’s one of 18 villages and 19 hamlets that are officially part of the Town of Oyster Bay, located in Nassau County, New York. Private charter flights to Farmingdale provide access to many of Long Island’s main urban centers and places of interests, and can be arranged utilizing four airports, including Republic Airport (FRG), Long Island Mac Arthur Airport (ISP), and New York’s commercial hubs including La Guardia Airport (LGA) and John F Kennedy International Airport (JFK). Republic Airport is located just minutes from Farmingdale, and is directly adjacent to the Southern State Parkway. The airport’s central location in Long Island makes it the ideal way to access New York’s attractions, allowing passengers to quickly reach NYC, its eastern suburbs, and the beautiful villages and hamlets found across western Long Island, including Montauk and East Hampton. Originally incorporated in 1904, the village of Farmingdale rose to fame as a major manufacturing and industrial center. Long Island was already a major region for early aviation, and following the second World War, the Farmingdale-Bethpage area turned into a hub for aircraft manufacturers, with Grumman Aircraft Corporation, Fairchild Aviation Corporation, and Republic Aviation Company operating int he area. After your private flight arrives at Republic Airport, visitors to Farmingdale will find a variety of great shopping and dining opportunities, quaint, tree lined neighborhoods, and a cozy, small town atmosphere. When you arrange your private charter flight to Republic Airport in Farmingdale, NY, you can choose from any of the following private jets for your flight, many of which are based at airports in New York and across Long Island. We can also provide access Wyvern Wingman/ARGUS Platinum private jets, and always we utilize two veteran pilots with a wealth of experience for every flight. Whether you prefer a Cessna, Hawker, LearJet, Challenger, Gulfstream, Global or need a VIP airliner for large groups, special events, cargo or other requirements, give your trip details to one of our private jet charter brokers, and they’ll locate the best private planes for your flight. Our rates are some of the most competitive you’ll find, and we offer free, no commitment quotes for all your upcoming private flights. Check out the aircraft gallery links, and contact us if you don’t see your preferred airplane below. 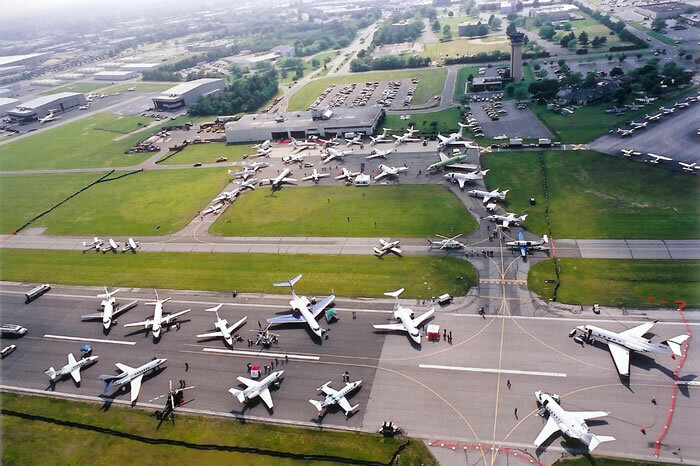 There are 7 additional airports for private jets to utilize for New York jet charter service, with airports such as Teterboro and White Plains focusing on business an private aviation around the New York City metropolitan area. Airports in Shirley and Westhampton Beach are also available to private jets planning to arrive on Long Island. Request a Quote or give us a call at 1-888-987-5387 to speak with one of our Farmingdale jet charter brokers and arrange your private flight to Republic Airport (FRG). We pride ourselves in offering the highest levels of service, flexibility, safety and the most competitive pricing for on-demand access to private jet charters. ACA can connect you to a fleet of aircraft ranging from Cessnas and King Airs to Gulfstreams and Global jets, and our private jet charter services can add hours to your day in the Hampton while avoiding missed connections, security lines, delays/cancellations, and inconvenient/unavailable scheduling of commercial travel.